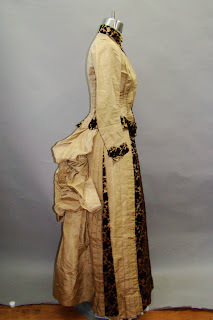 Wonderful bustle ensemble dating from the height of the second bustle period, guessing 1883-87. It is make of champagne colored silk taffeta with brown and champagne cut velvet. This dress is in remarkably good condition, though not perfect. The skirt styling is asymmetrical with the left side being different than the right. There are full bustle puffs at the back The front of the bodice buttons together at the inside lining as shown in picture 7. All the buttons are present. 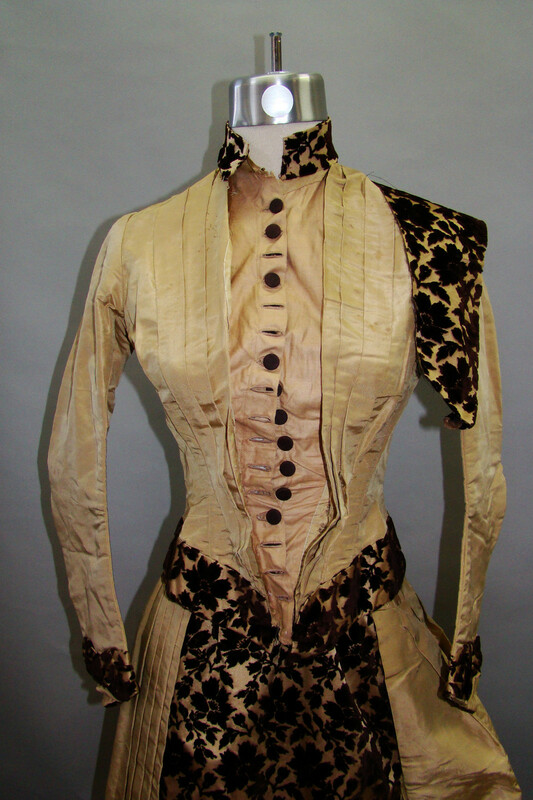 The buttons and lining are covered with an covering of cut velvet, which you can also see in picture 7, laying over the shoulder. This piece used to be basted to the bodice on the right and hooked to the left side with hooks and eyes. 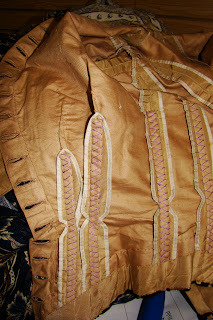 The basting stitches have broken and it has now separated from the bodice. 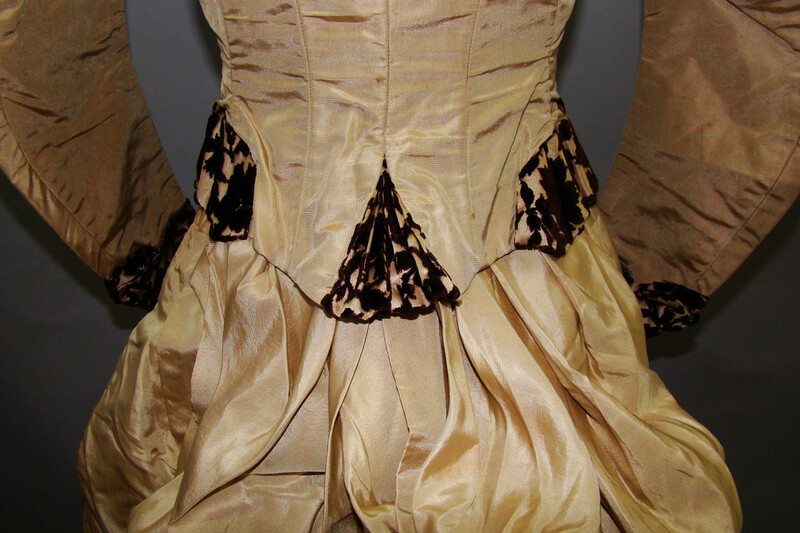 The bodice has cut velvet trim at the sides, cuffs, and standing collar. The back of the bodice has the cutest pleated back which spreads out over the bustle as seen in photo 5. 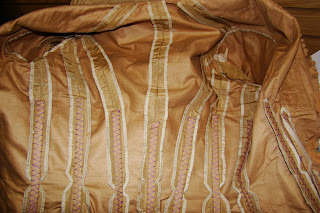 The inside of the entire ensemble is lined with brown polished cotton with impeccable finishing details. 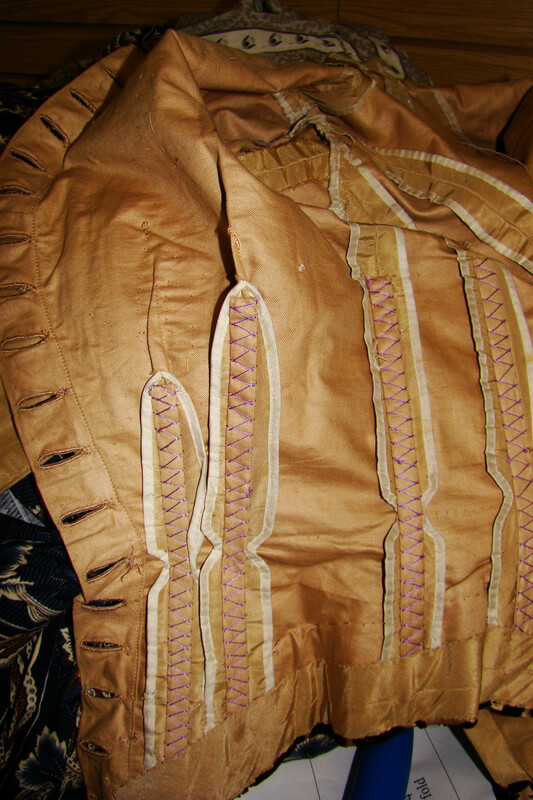 The bodice is boned with 11 bones as seen in photos 9 and 10. 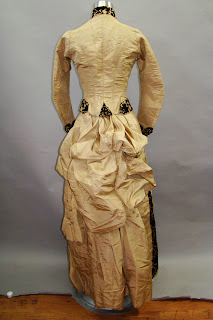 There is no underarm staining which makes me think this dress was rarely worn , if ever? 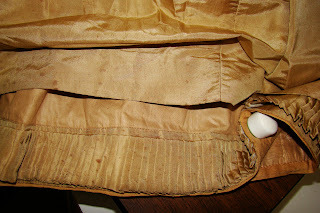 The skirt still has it's internal bustle support of a bone and elastic to keep it in place as seen in photo 11. The elastic has stretched out at this point. 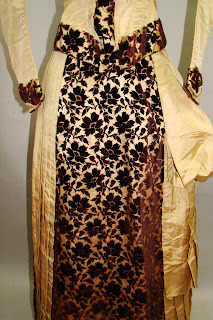 The fabric seems strong and I can't find any holes or shredding, though there might be some. 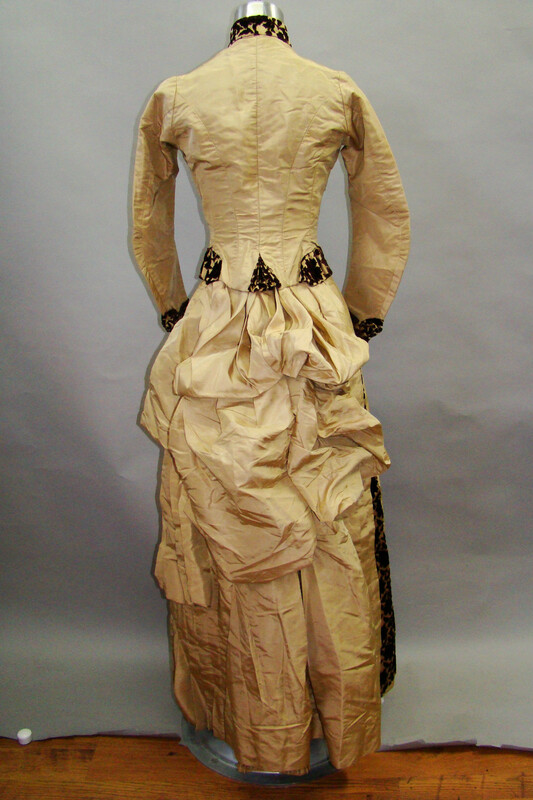 The dress is not perfect however, as it has scattered spotting and small stains throughout. Photo 8 and 12 shows the kind of spotting I am describing. Almost the whole surface of the dress has some sort of spotting on it. There is a large spot on the skirt near the front right bottom on the pleats. 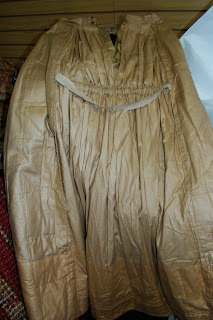 Photo 12 is of the very bottom of the back of the skirt. 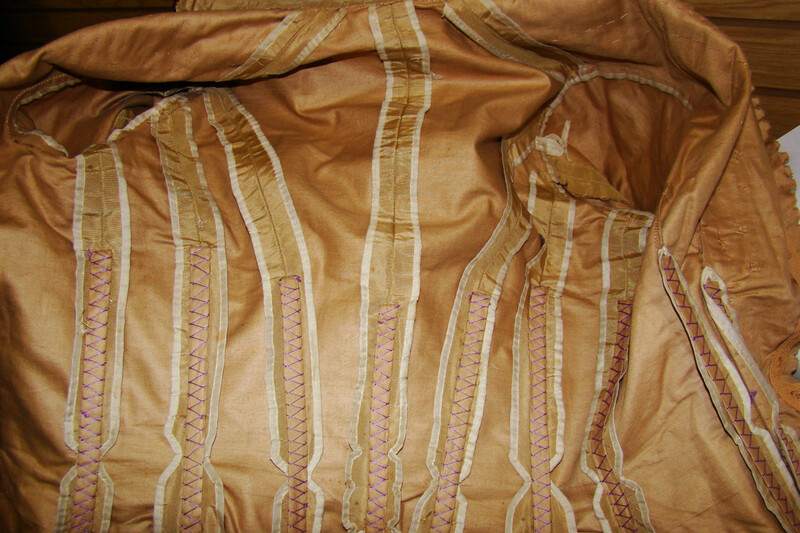 It shows the pleating that is only at the back and edge braid that binds the entire bottom of the skirt. This ensemble is a super small size. 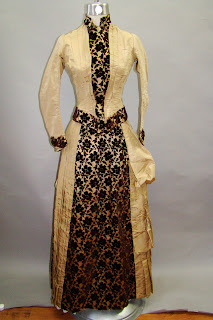 Bust 29.5, waist 23, neck 11.5, across shoulders 12", bicep 11.5, front skirt length 36. The hips are kind of hard to figure because of the bustle at the back but I will say around 33. 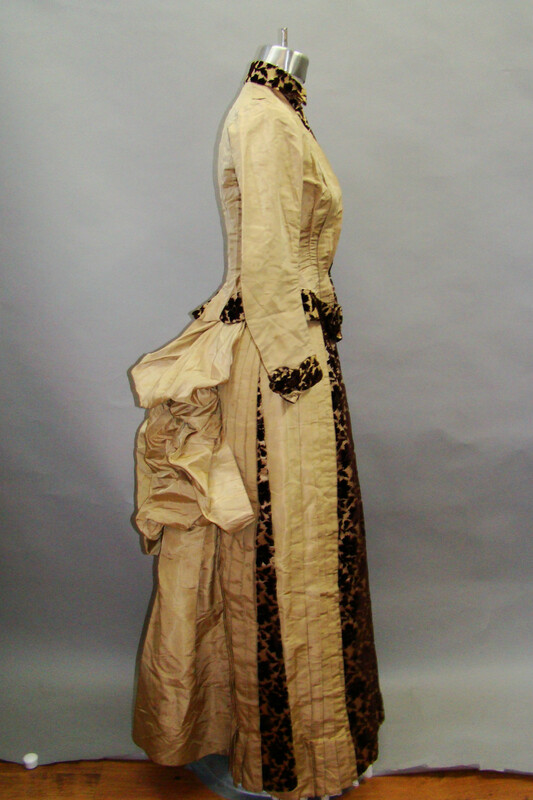 This is a gorgeous example of this bustle period with the use of different fabrics and the asymmetrical style of the skirt. If you have any questions please ask. Thanks for looking! It's yellow and black and doesn't look like a bumble bee!